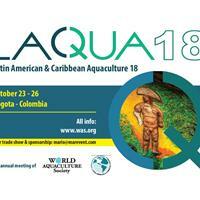 The Latin American and Caribbean Aquaculture 2018 (LACQUA18) event will be held together with the VIII Colombian Aquaculture Congress (VIII CCA) at the Ágora Convention Center, Bogotá, from October 23 to 26, 2018. These events are being co-organized by the National University of Colombia, the Colombian Federation of Aquaculture Producers (FEDEACUA) and the Latin American and Caribbean Chapter of the World Aquaculture Society (LACC/WAS). 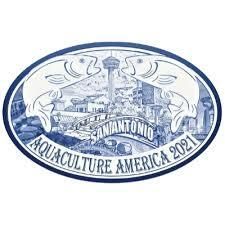 Voting is open until August 15 for the positions of Secretary and Director of the Latin American and Caribbean Chapter of the World Aquaculture. If you are an active member of LACC do not forget to vote online at www.was.org/ballot In this link you will find the candidates and a brief description of each one. 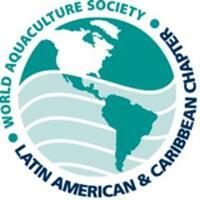 We are pleased to announce the realization of the Latin American & Caribbean Aquaculture 2018 - LACQUA18 event, which will be developed together with the VIII Colombian Aquaculture Congress - VIII CCA at the Ágora Convention Center, Bogotá, from October 23 to 26, 2018. 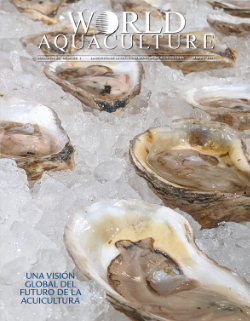 These events are organized by the National University of Colombia, the Colombian Federation of Aquaculture FEDEACUA and the Latin American & Caribbean Chapter of the World Aquaculture Society LACC / WAS. We would like to share with all of you the results of our last electionsfor the new members that will be joining the LACC BOD for the positions of President Elect, Treasurer and Directror. By releasing juveniles back into the sea, Earth Ocean Farms gives the totoaba the opportunity to thrive, while creating jobs and economic productivity for the state of Baja California Sur, México. 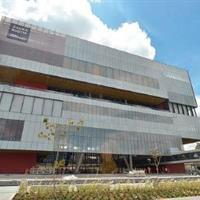 WAS recently closed its elections for President, Treasurer and two directors. 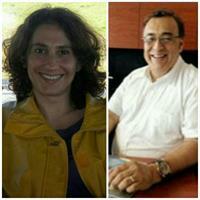 We are very happy to share with you that two of this positions will be occupied by colleagues of LACC's region: President Elect: Dr. Maria Celia Portella from Brasil Director: Dr. Humberto Villareal from Mexico We wish them the best during their term! 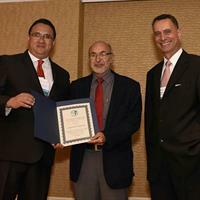 LACQUA19 will be the 2019 Annual meeting of the Latin American & Caribbean Chapter of WAS. Following upon the previous successful LACQUA meetings, LACQUA19 will bring international attention to the aquaculture industry of Costa Rica and Central America.